It’s Grayowl Point’s third annual Throwback Week! The blog is once again looking back at older Canadian albums and connecting them to the musical present. This year, albums released in 2012 or earlier qualify to be examined for Throwback Week. See our past throwback reviews here. I stole Land of Talk’s Cloak and Cipher from my university’s radio station. More accurately, when I was working there about 5 years ago, the station had two copies of the album so I took the spare. It has been nestled in my CD collection, untouched, ever since. 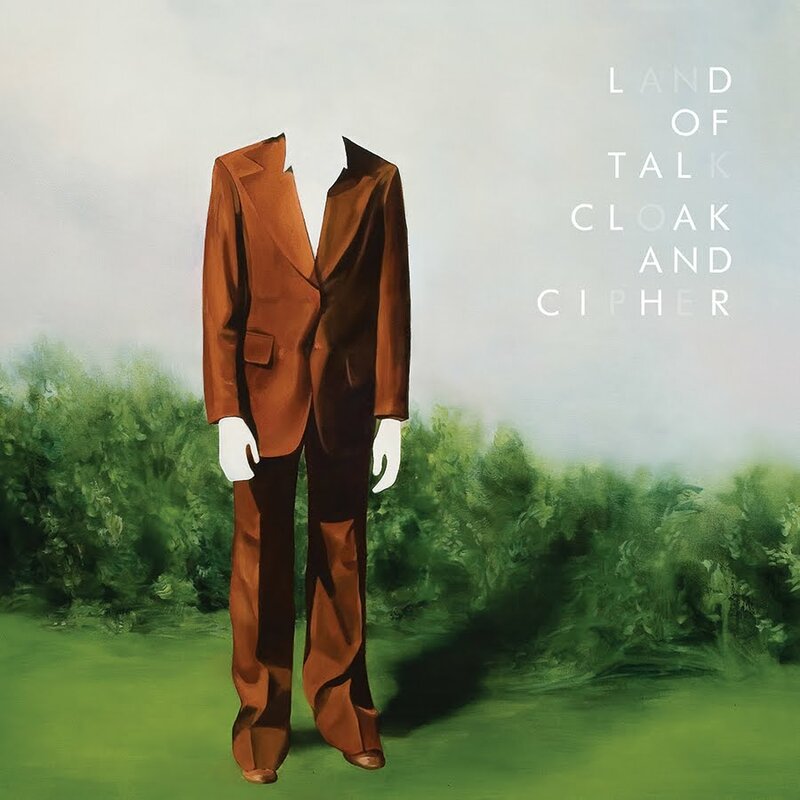 After attending an “Imagine October 20th” event last year where Land of Talk’s Liz Powell performed and continually hearing rumours of a reunion and a new album, I figured now was as good a time as any to finally explore Land of Talk. There is a lot happening on Cloak and Cipher, the band’s 2010 sophomore album. It’s a bricolage of light and dark. At one moment the album is cloaked in dramatics and the next this dense blackened covering is pulled off with the same flourish as one might do when successfully pulling a tablecloth off a table while leaving all of the plates and utensils unmoved. The fuzz of “Swift Coin” is not light snow but it rains down like hot sparks, alert and piercing, while “The Hate I Won’t Commit” is an unrelenting, and bizarre, show of electronics, mangled guitars, and unidentifiable words from Powell. This harshness is juxtaposed by complex, anthemic pop-rock tracks grown out of the Can-rock resurgence of the early to mid-2000s: the title track’s driving beat (and dancing bass riff) is infectious, “Quarry Hymns” cascades with lightness thanks to the powerful combination of the relatively undisturbed voice of Powell and the song’s poppy guitar riff, and “Blangee Blee” swings to a rhythm as playful and childishly free as its title. Lyrically, there’s nothing really to decipher. Powell’s pain – despite these occasionally lighthearted sonic moments – is always on display. “Where did my body go?” she cries in the standout “Color Me Badd” and later in the track snarls, “bother to breathe, call it devotion.” In the other album highlight, “Quarry Hymns,” Powell calls with a mix of desperation and determination – and seemingly from the bottom of the infinite abyss – “how deep is this soul I feel I’m in?” The word “soul” cleverly sounding a lot like “hole” to make Powell’s vivid imagery even more breathtaking. And now, if I may, I’ll wait with you for the return of Land of Talk.